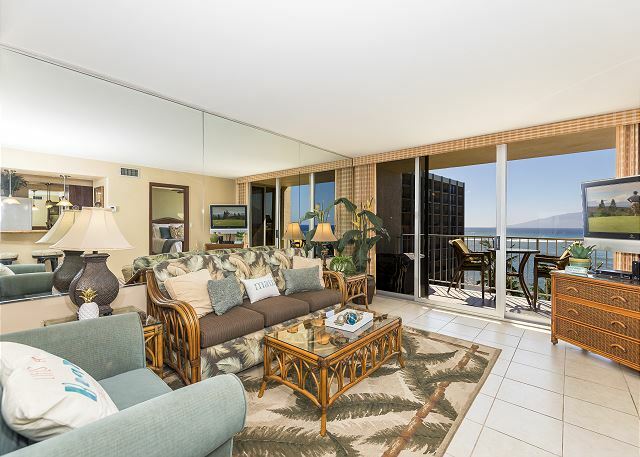 Spectacular ocean views from the lanai of this eighth floor condominium. 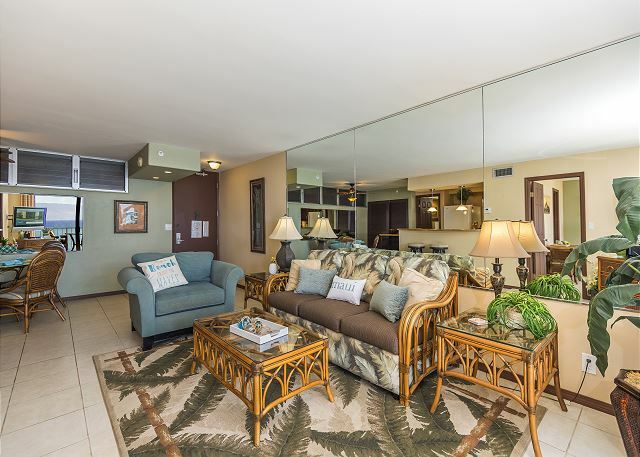 This spacious, one bedroom condo is filled with comfortable island décor. 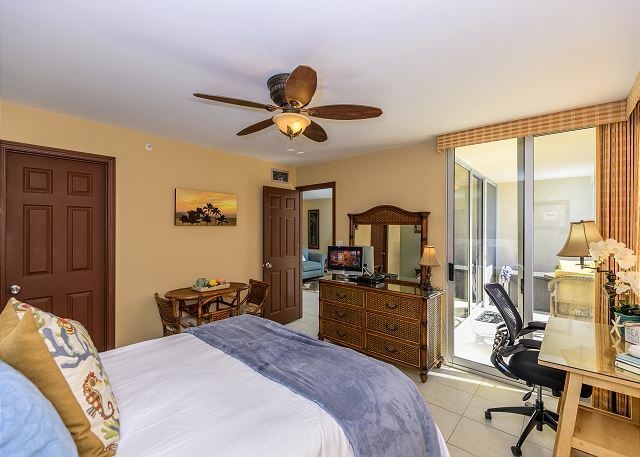 The bedroom features a new ultra comfortable queen size bed and ocean views. The living room has a queen size sleeper-sofa that will accommodate 2 additional guests. Both rooms have flat-screen TV’s. There is also a DVD player and a Red-Box rental across the street for your entertainment. 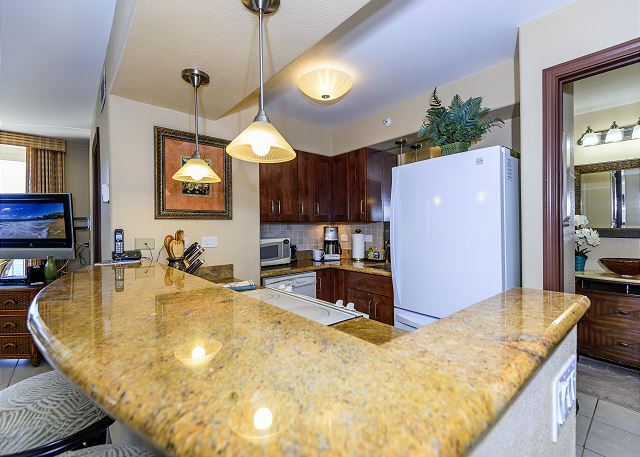 This newly remodeled unit has been equipped with modern appliances, granite counter-tops and luxury kitchen equipment. A washer/dryer unit is included. 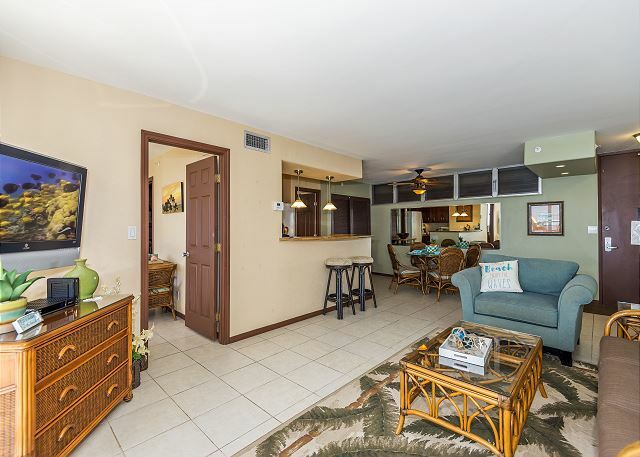 Dining space is provided for four in the condo or two on the lanai. A desk for your computer is located in the bedroom. 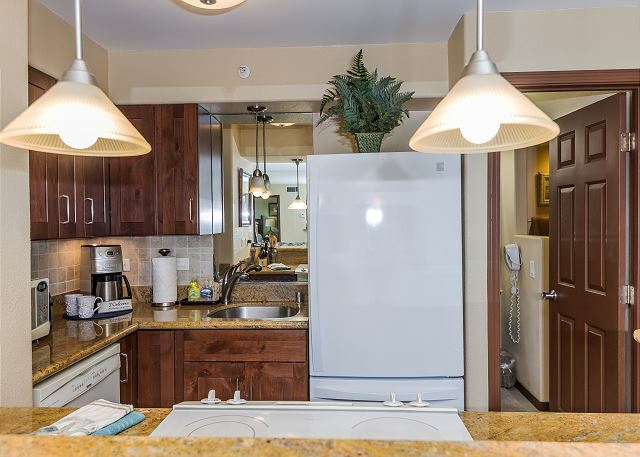 Enjoy a “home cooked” meal from the fully appointed kitchen or a tasty meal prepared on one of our gas grills, next to the Cabana. 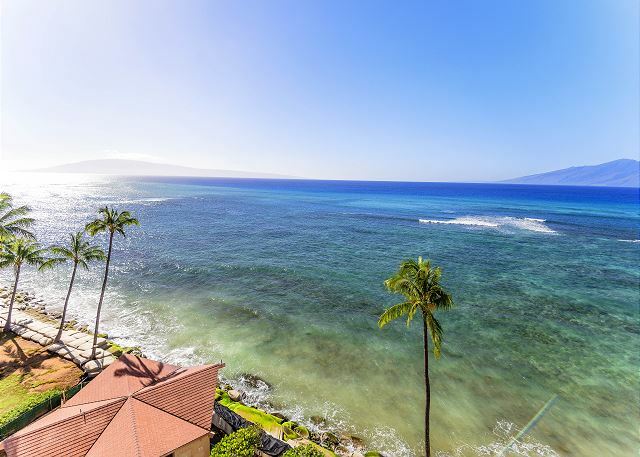 From the lanai, you will be able to watch Humpback Whales in the winter months and turtles swimming in the surf year round. An occasional school of dolphins may pass by as well. 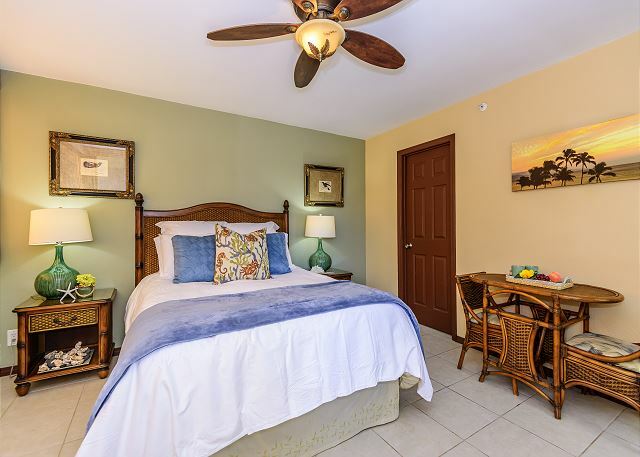 Beach chairs, beach towels, cooler, and free WI-FI are provided for your convenience. 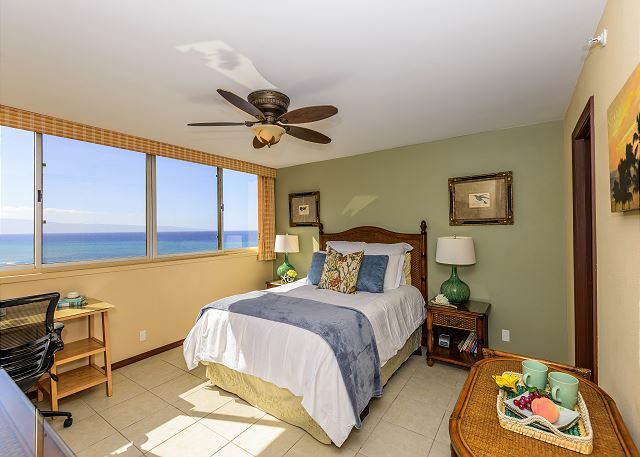 This ocean front complex is located in beautiful Kahana. There are wonderful beaches close by. 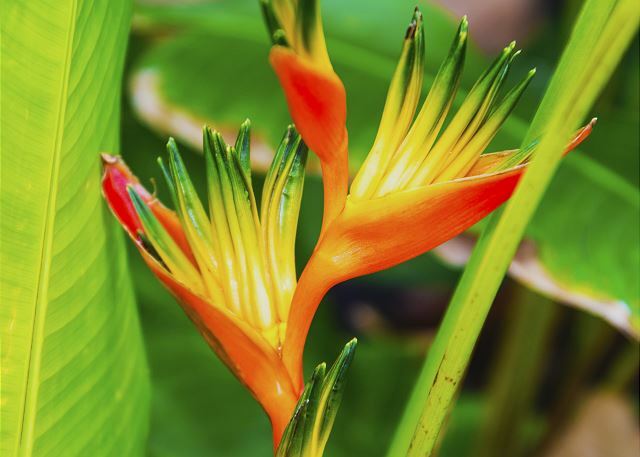 The grounds are kept immaculate, with banana and papaya growing on the grounds! Beautiful flowers, ti plants, lawns and different types of palm trees surround the building. A swimming pool, shuffleboard, and ping pong are available! 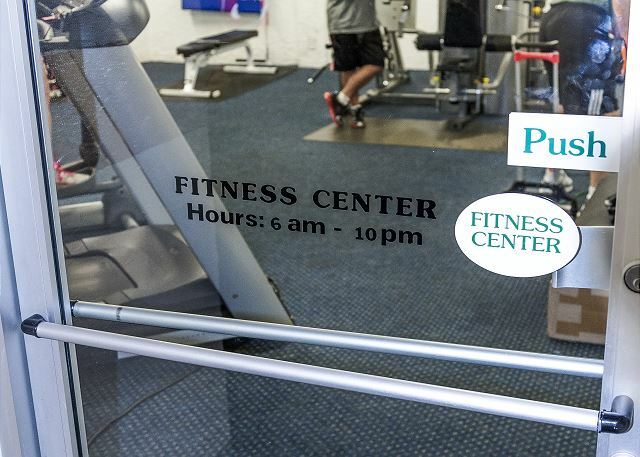 There is a concierge desk located in the lobby to assist in planning your activities. A computer is located in the lobby for your convenience. There are also books to swap and meeting and reading rooms in the lobby with a wonderful ocean view. Three fast elevators service all floors. On-site security is also provided. 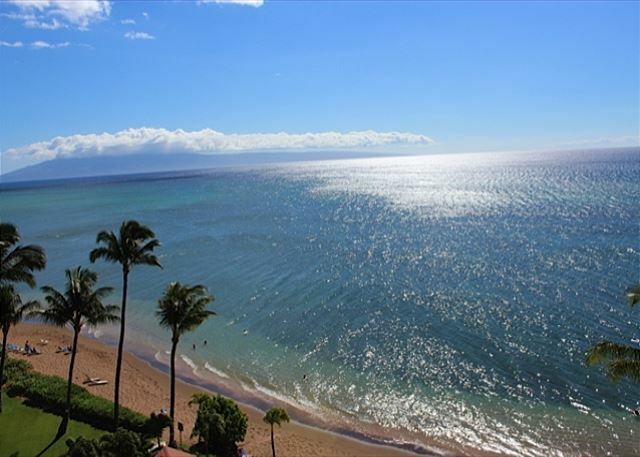 This property is centrally located between Ka’anapali and Kapalua. There is a convenience store, gas station, shops and restaurants, (including McDonalds) and the Maui Brew Co. located across the street! 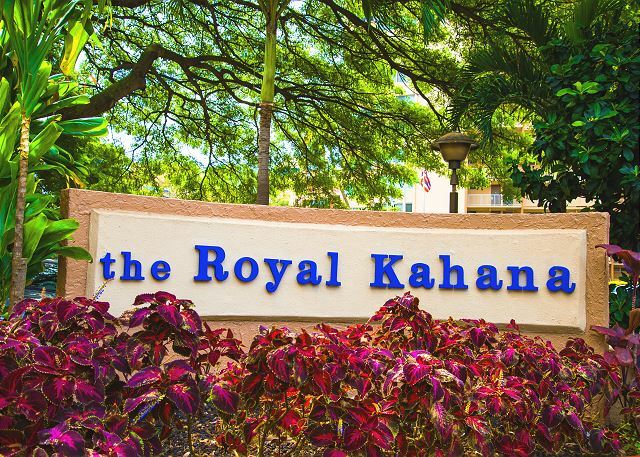 Several grocery stores, a Farmer’s market, and many shops and restaurants are located within a few miles of the Royal Kahana Resort. 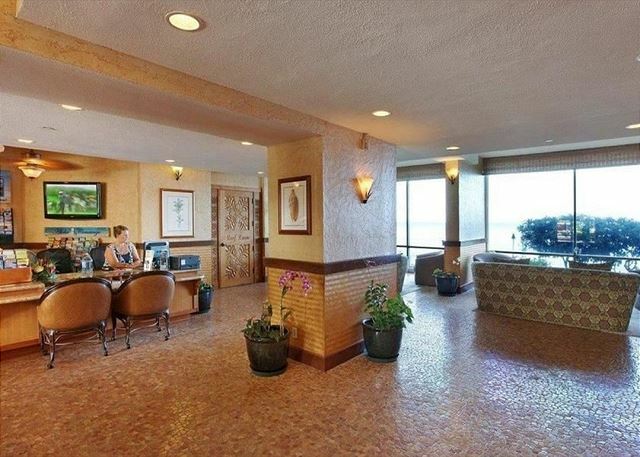 Property type: condo, 8th floor, ocean front, 777 sq. ft. 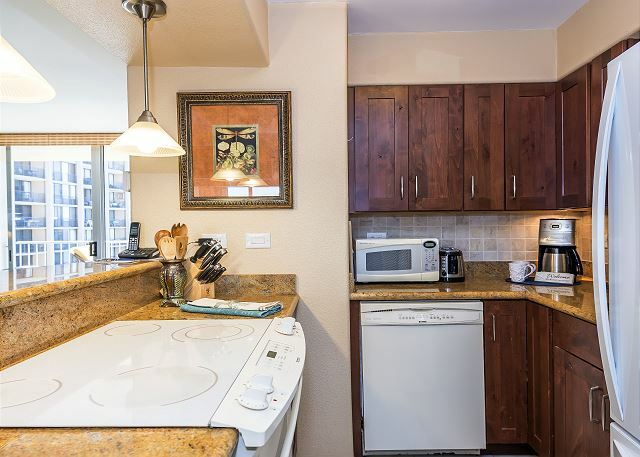 Kitchen and dining: Coffee maker, microwave, electric range and oven, dishes and utensils, toaster, blender, and refrigerator with freezer and ice-maker. 5/5 stars Review by Lowell S.
We enjoyed our stay here very much! I loved having coffee in the morning on the lanai looking out and seeing Molokai and Lanai.Very clean and nicely updated. It had everything we needed. Close(5-10 minutes)to Lahaina and Kaanapali. Epic realty was very attentive and friendly. I would highly recommend staying here. We would stay here again without a doubt. 5/5 stars Review by Tom E.
5/5 stars Review by JoAnn L.
5/5 stars Review by Kathy W.
Everything was perfect, the condo was beautiful. I enjoyed staying there. I actually spent a lot of time in it since I had no car.I was in Maui for my grandson's wedding, and they drove me around some. I would love to come back and stay in 812 again! But next time I will have a way to get out and see more!I really enjoy the convenience of a place to eat and shop within walking distance. I felt very safe out walking alone! We enjoyed our stay here @ this property. Everything was spot on with the exception of the dryer venting back into the condo & the bed being not so comfortable. 5/5 stars Review by Mark A. Photos provide a very accurate picture of the condo. Great view of sunsets, very clean space, comfortable bed, convenient location. The only challenge that we had to deal with had nothing to do with the condo itself. It had to do with the resort's parking. Sometimes hard to find a space, and I recommend that you rent a small car, since all the spaces are quite tiny, especially compared to typical spaces on the mainland. That is a small price to pay for this fantastic property. Would definitely return! 5/5 stars Review by Rowena B. On opening the door, I was pleased. It didn't disappoint. Very happy and would stay again. 5/5 stars Review by Elizabeth L.
This was an immaculate place. It was one of the nicest VRBOs I've stayed with in terms of being clean and well stocked. When I couldn't find the beach chairs a manager was at my door in like 2 hours with brand new ones. That was really nice. 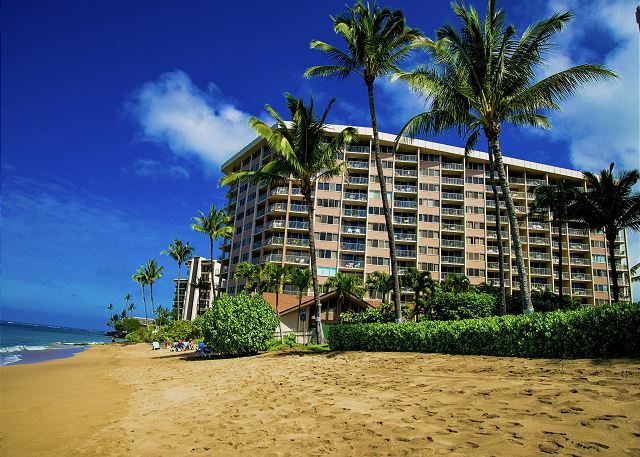 This is definitely not a "beachy" location, and if you are hoping to walk outside and get directly on the beach you should stay at ka'anapali. There has been a lot of erosion since november and it's actually kinda sad. Google "kahana erosion 2017" to read all about it. In general Kahana isn't the area to plan to walk outside and take a beach side walk. It's not the fault of this property of course. That was slightly disappointing but offset by the absolutely stunning view making every breakfast and dinner at home a real treasure. It was easy to drive and park anywhere. Every morning I saw whales and turtles while in my pajamas, with lanai and molokai in the background. Just stunning.Only real downsides of the place itself was the janky parking lot (is that structure going to collapse?!) and I agree with the previous reviewer on the bed. I don't know if it's an overly soft mattress or its going bad or what but - oy my back was not happy at the end. Might be a personal preference but worth noting. If I could have pulled off that pillow top I think it would have helped. We loved the view from the lanai, and the large, deep swimming pool. There was no access to the beach due to erosion, which was very disappointing. the apartment itself was fine, but a little tired. The bed was uncomfortable -- it needs a new mattress. The unit was exactly as advertised....clean, ocean-front, spacious. Check-in was very simple and instructions were conveyed in advance. Lots of other friendly renters in the building too. 5/5 stars Review by Kevin A. The condo was beautiful and clean. It was nicely decorated in a tropical theme. 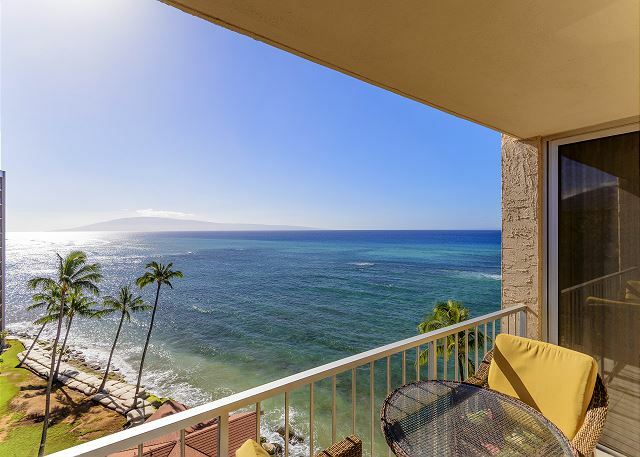 The lanai overlooking the ocean and Kahana Beach was 2nd to none! We watched huge turtles from the lanai and the breathtaking sunsets nightly. 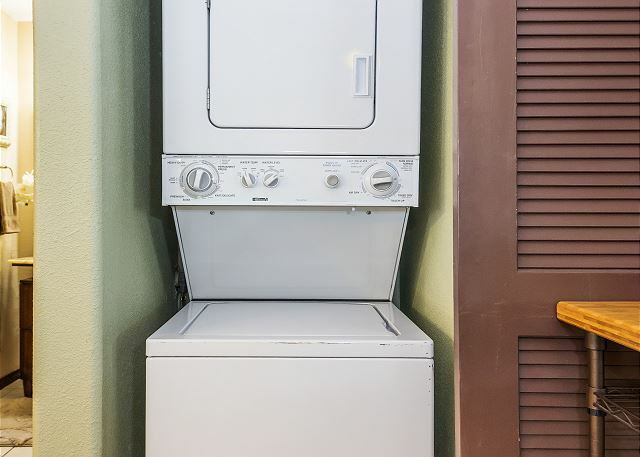 We loved that the unit had a washer and dryer, big plus! We would definitely stay there again and recommend it to our family and friends. 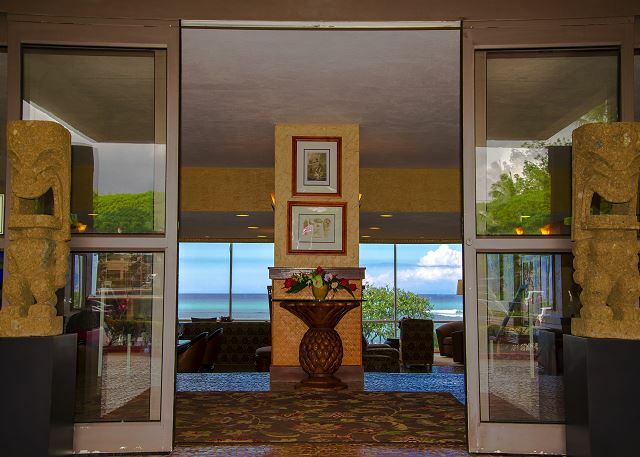 5/5 stars Review by Deborah T.
Royal Kahana #812 was a great find for our Anniversary vacation. The view from the lanai was amazing! 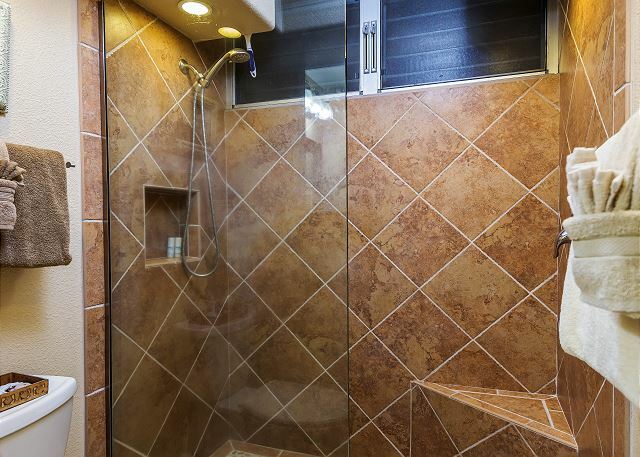 The condo was clean, updated and very comfortable with a great location. Stacey with Epic Realty was great to work with answering all our questions. If we return to Maui we would definitely stay here again. Other than the profuse rain that we got throughout the week, everything was great and the unit. And the view was priceless. Air-conditioning is moderate. And overall the grounds in the condo itself is outdated. We had a wonderful 13 days on Maui. We Zip lined , snorkelled ,scuba dived,ate at nice restaurants, boogy boarded and spent lots of time at the beach. We will be back! 5/5 stars Review by Lenny G.
5/5 stars Review by Lisa W.
Breath taking views, extremely clean. Would love to go back sometime! Great location and all the information that was provided to us was a great help. They even had beach chairs, towels, snorkeling equipment that came in handy for day trips.Loved it! 5/5 stars Review by Sherry B. This was one of the best units we have ever stayed in. The view was even better than the pictures and the unit was decorated very nicely in an Hawaiian theme. We will definitely be back again. We loved this place! Great views!!! Unit #812 was a pleasure to stay in during our Maui vacation. It was bright, modern, spacious, clean, well-equipped, comfortable and a perfect location for us. And did I mention the views?!!! 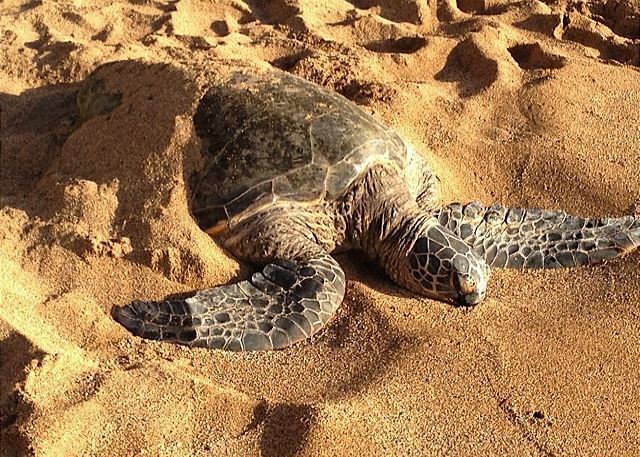 We enjoyed watching the turtles right off the beach in front of the Royal Kahana. It was a quick drive to so many beautiful beaches. Everyone at Epic Property Co was resposive, helpful, friendly, and professional. Thanks for the great vacation! Unit was very well stocked and clean. The complex was a little shabby and there was construction going on all week so it was very noisy during the day had to keep doors and windows closed to even talk on the phone. wish the unit had air conditioning. 5/5 stars Review by Airbnb David R.
4/5 stars Review by Yvonne H.
The location and ocean views from the condo were very good. The condo itself was acceptable - not what I would consider a luxury condo, but was sufficient for our needs. The people at Epic are awesome! They were quick and responsive to our needs. We had issues with the door code, which they fixed in 5 mins. We had issues with the wifi, which they fixed within 5 mins as well! The condo had some AC issues, which they tried to fix but couldn't. Even though we were sweaty, the view was impressive. 5/5 stars Review by Airbnb Sina I. Great location in Maui with a gorgeous view of the ocean and sunset. 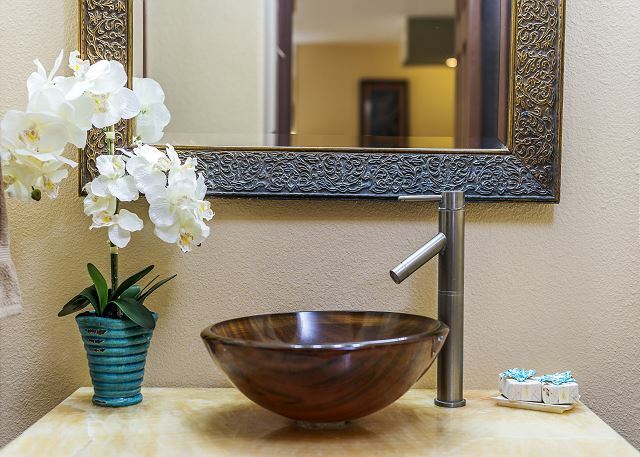 Great amenities within the unit. Close to grocery store. Would stay again if i returned to Maui. 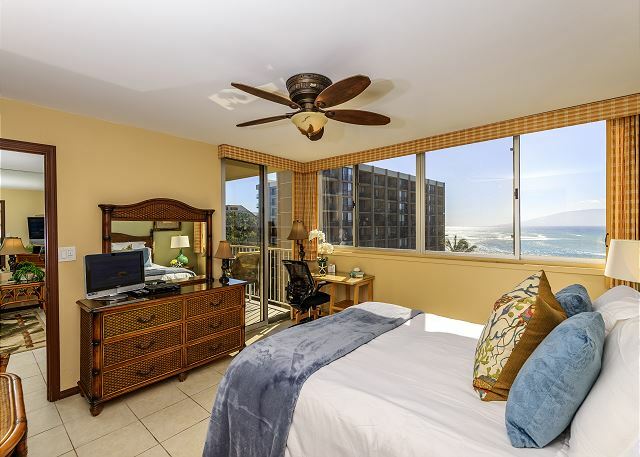 5/5 stars Review by Frances R.
We stayed in this Royal Kahana condo in early January, 2015. The location is perfect for us; quieter than Kaanapali, Lahaina or Kihei, but right on the ocean with amenities nearby - Maui Brewpub is less than a block away 🙂 The kitchen is small but had everything we needed to prepare breakfast, snacks, and the occasional dinner. The lanai is comfortable and we made good use of the in-condo washer and dryer. Helen at Epic Realty was helpful and accomodating. 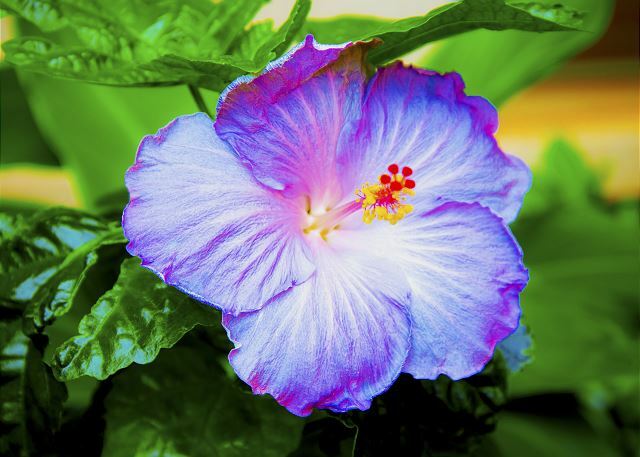 5/5 stars Review by Teresa M.
My parents and I enjoyed the condo and had a wonderful time in Maui. The condo had plenty of space even for two couples. The view of lanai and Molokai was fantastic we had beautiful sunsets every night. 5/5 stars Review by Joe B. 5/5 stars Review by Danielle M.
Condo was exactly as pictured. Wonderful location, beautiful view, loved the beach chairs and beach towels provided. Grounds and pool area are kept very clean and nice. 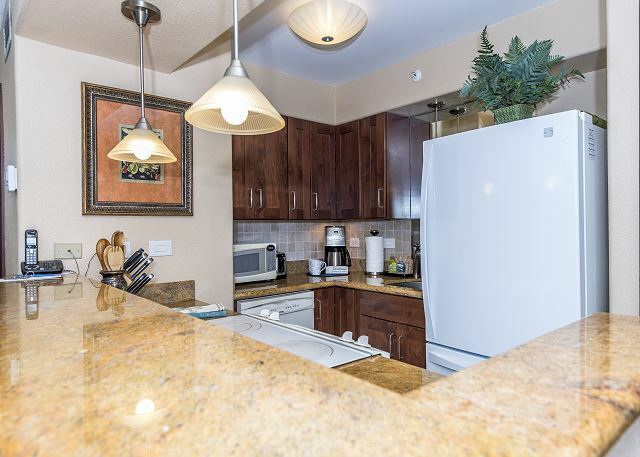 Condo has everything you need! Just make sure to close the blinds before you leave for the day, or else the sun will make the unit pretty hot. Couldn't have asked for a better place to stay. 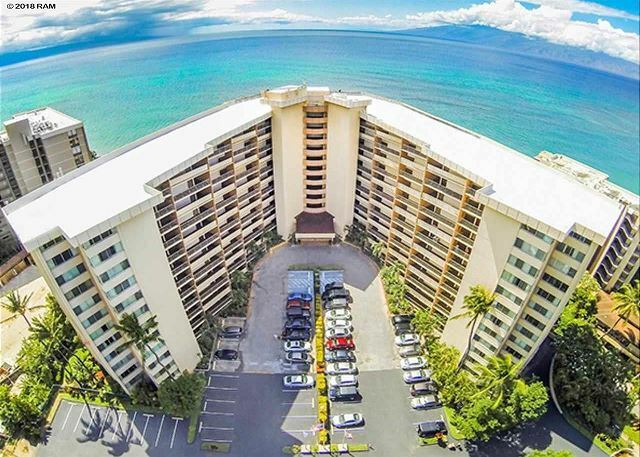 5/5 stars Review by Dorene D.
We would definitely recommend staying in this condo and we would also rent again....Everyone was very helpful to work with from the owners to the Royal Kahana staff and Epic Realty.....!It was clean and had everything we needed !! !Great location for a coffee shop and convenience store, and to the bus stop which is so easy to use in Maui.We would definitely stay here again .!! 5/5 stars Review by Mona W.
Loved the condo. It has an amazing view. I love that the bedroom also has an ocean view. The unit is well appointed and Epic Reality was great to work with. Overall my stay was perfect. 4/5 stars Review by Peter M.
Condo has everyting you need to make your stay comfortable. The location is great, just 10 minutes from Lahiana. 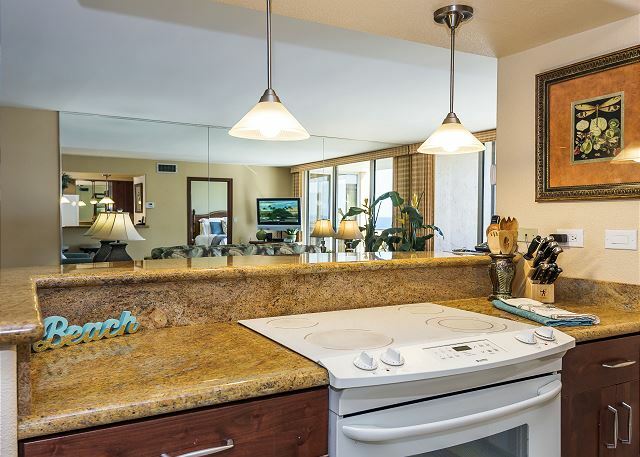 Condo comes fully stocked with kitchen supplies, beach chairs, and snorkel equipment.